movie Shamitabh is all set to hit the screens tomorrow. 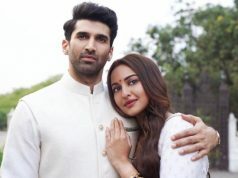 Film being presented by known names of film industry, has gained many decent hypes from the audience by now due to its interesting trailers and chemistry audience seems to looking forward for its official release. Shamitabh is a drama humor based film revolving around the story of 2 struggler actors who get into each other’s life amidst of the situations where one becomes popular and the one who must be given credit is left out. Film has not got any big support in its favor but star cast is somewhat the strongest point for it so expectations from this movie are decent enough for first day and weekend as well. 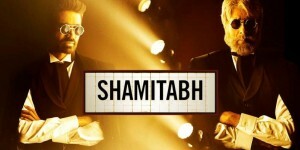 Shamitabh being a big platform for both the lead star cast to make their comeback in the industry after fair long time it is slated to release tomorrow on Friday, 06 February 2015. 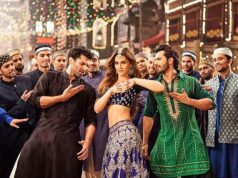 Film is not releasing on any very high number of screens so this is definitely going to affect the overall first day collection of film but high fan following and high excitement level will surely support it well. Anyhow, on the basis of audience pre release response, critics review and other sources; first day expected collection of Shamitabh is around 6-7.5 Crores*. There are many other big reasons which might turn against or in favor of Shamitabh on its opening day of release. 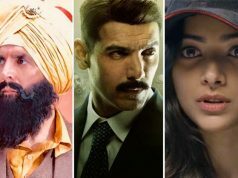 Neither the film has any high star powered female lead in it also audience in southern and Marathi oriented regions is excited about other films releasing same day like Baji (Marathi) and Yennai Arindhaal (released on 5 Feb). Film might earn more or less than the expected depending upon the audience actual feedback and interest for the film tomorrow.